These 7.7 oz. 100% polyester anti-pill fleece, feature fleece chin guard, a concealed brushed tricot-lined lower pocket and audio port access through inside pocket. All styles are available in: Black, Burgundy, Campus Gold, Campus Purple, Navy, Red, Forest Green, Heather Charcoal and Royal Blue. See #A88191 for the Men's sizes. Prices shown are for sizes XS-XL. There is a surcharge per fleece for 2X and 3X of $3.00 each. Please add the applicable surcharge to your order. Personalization: Add $7.00 for two lines (20 characters/line). Men's & Ladies' A88191 & A78191 will be combined for higher quantity pricing. 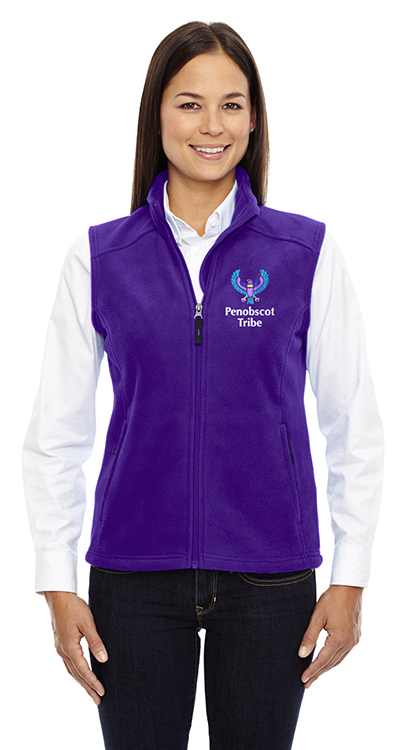 There is a $3.00 surcharge for each fleece vest ordered in size 2X-3X. 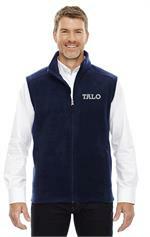 Please add the qty of fleeces you are ordering below.